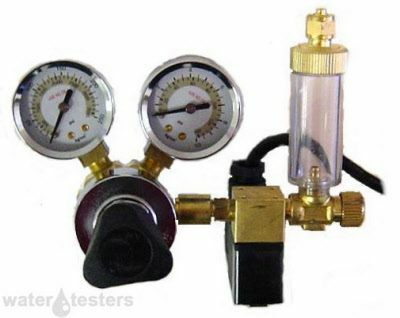 All of these CO2 gas regulators feature a sturdy 2 stage / dual gage valve. The Milwaukee CO2 regulator has a great reputation and is a steady performer. We highly suggest the MA957 carbon dioxide regulator above some of the inferior brands out there for gas and CO2 regulation. It features a needle valve and bubble counter along with a solenoid valve. Great for aquarium use.